"Costières de Nîmes is the most southerly appellation of the Cote du Rhone. The wines of the area are reputed to have been consumed by the Ancient Greeks and thus figure among the oldest known wines in the world. Tucked away in this region is Chateau Beaubois, vines have been grown here since the 13th century. Cistercian monks originally planted grapes and olives in the sun-soaked, stony soils, noticing immediately the potential for quality found within modern-day Costières de Nîmes' terroirs. 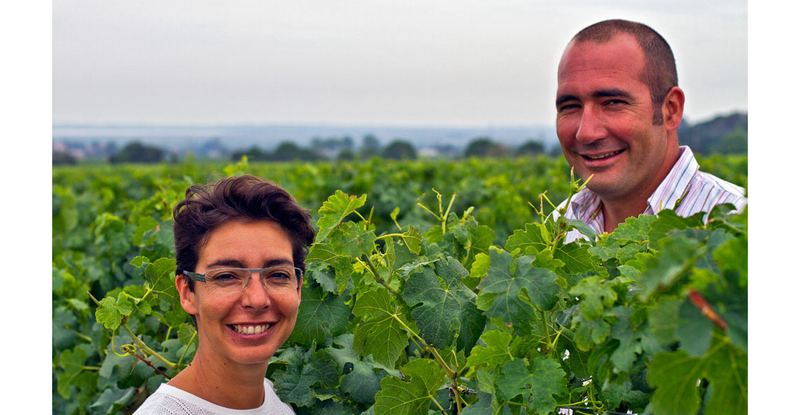 Fanny and her brother François are the 4th generation tending the vines and making wine on this plot of land. This brother-and-sister team organically farm 54 hectares of grapes, and 2 hectares of olives on their historic property, happy to be the next generation of stewards for their family's land. Their vines are produced to vegan standards and are certified organic by Ecocert since 2009. Their vineyards are covered with small "galets roulés" and "cailloutis" stones, the same which are also famously found farther north in Châteauneuf-du-Pâpe. The grapes enjoy hot, dry days, and cool nights due to the favourable location overlooking the lakes of the Petite Camargue. Wine making is traditional, careful, with only minor fining and filtration occurring before bottling. Which sometimes results in crystals appearing in the wine “all the goodness kept in”. We had a few questions for Fanny which she was happy to reply to. When did you first get started in winemaking and working in the vineyards? “My first vintage was 1996. My father left me alone in the cellar and asked me to do what I want. That was the beginning”. "Purity, fruity, elegance and freshness are part of my winemaking style”. “Grenache is my favorite because of his style. It is a powerful grape variety with wonderful tannins”. “My job is changing every day and every year with a new vintage. Each generation introduces a touch of modernity, but we always have a look on the past”. What do you least like about your job? “The administration part and the customs which is very time consuming”. What is your favourite wine outside the region of Costières de Nîmes? What is your philosophy in winemaking and how do you look after your vineyards? “The entire vineyard is organic for over 10 years. I must respect my brother’s grape. The wines after been harvested, must taste his grapes. I keep all his philosophy and all his work when I make the vinification”. Are you doing anything new in winemaking or in the vineyards at Chateau Beaubois for 2019? “A new cuvée, a red wine without sulfite. Also, our wines are now vegan, traditionally vineyards can use animal based protein products for fining wine for example egg white, milk casein or gelatine, as a type of glue to help force suspended particles to the bottom of the barrel during the fermentation process. I now use a chickpea derived glue to fine the wines. Until the end of 2016, there was no label in France for this type of wine Château Beaubois was the fifth French producer to achieve this certification, and the first in the Rhone Region”. As well as replacing animal proteins with vegetable protein, vegan vintners must not use compost made from cow dung or horse manure, nor do they let the sheep graze in the vines. 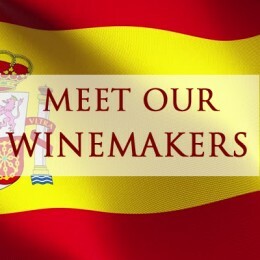 Wine has been produced in Spain for thousands of years: Romans had a particular ..